YouthCorps Camping programs combine education, job skill training with outdoor adventure for ages 16 to 18. With the guidance of experienced field staff, youth crew members work on conservation, reforestation, and recreation projects, while developing leadership skills and learning how to work as a team. Crews camp in the field for their entire session, traveling to a new project each week. Participants gain a sense of pride that comes with hard work and a job well done, learn to become stewards of our public lands, and develop lasting friendships. Through the Idaho Service Corps (ISC), receive paid job-training experience as you meet the Idaho’s highest priority conservation needs, including wildfire reduction, non-native weed eradication, and trail building and maintenance. 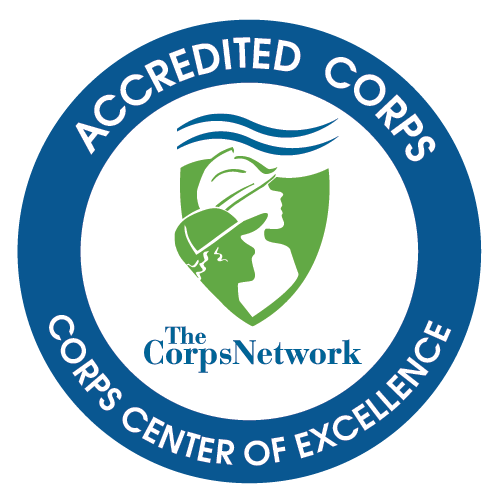 In addition to accomplishing critical work, you’ll earn professional certifications needed to become part of the next generation of stewardship leaders, as well as an AmeriCorps living allowance and education award. The Idaho Conservation Corps Internship program is an innovative AmeriCorps Program designed to provide hands on training and experience to those interested in pursuing employment with land and water resource management agencies, and other outdoor careers. The program is a cooperative effort designed to address community, environmental, and resource management projects.